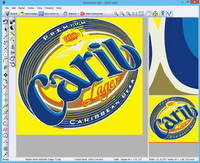 RasterStitch is a utility for putting together multiple raster images (stitching). 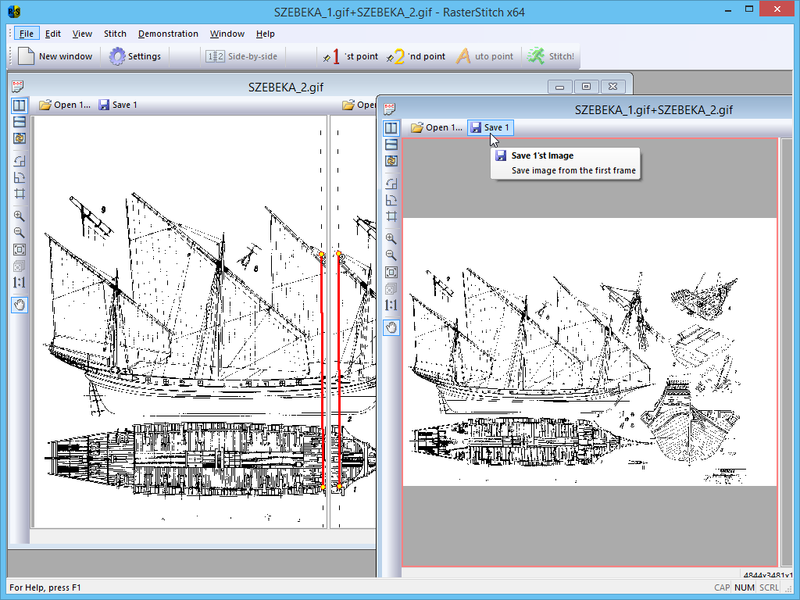 Use this program to join fragments of a paper document, which dimensions exceed the scanner workspace. 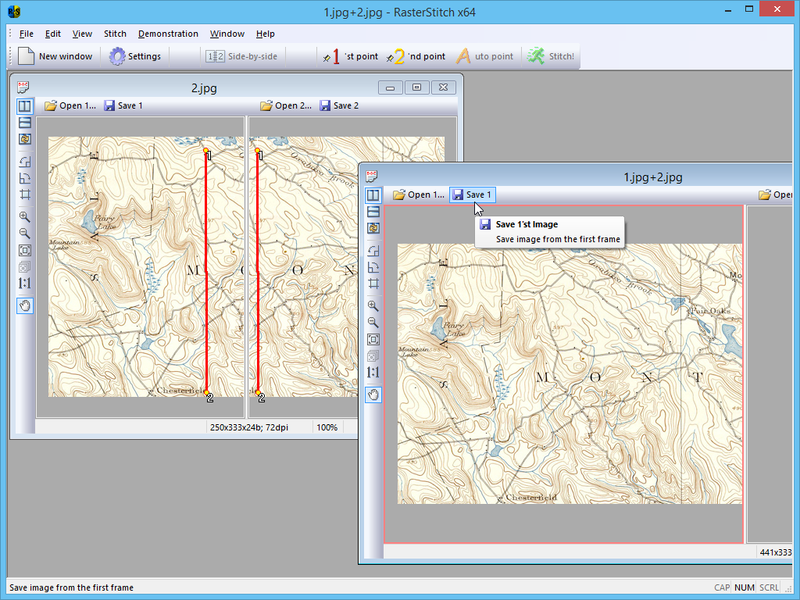 For example, you can scan a draft of the A0 format with a desktop A4 (21x29 cm) scanner or scan a map case of 50x50 cm by individual fragments and then join them to create the whole picture. The stitch line is created by setting two pairs of common points on the next images. That allows even a newbie to accomplish a great result quickly and easily. The program has two stitching modes: semi-automatic and manual. 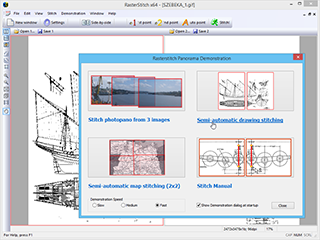 Semi-automatic may help user to search a common points on image pair. 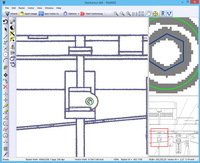 After successful point search you will see a stitching line and can control the quality. 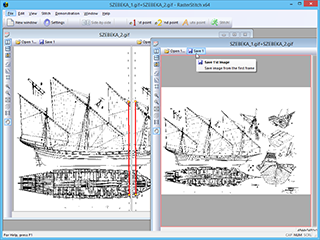 If by some reasons the program can't find common points on two stitching fragments or find it not enough accurate, the user can set it in manual mode precisely. 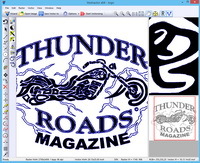 Download the latest version of RasterStitch. Double-click the file and go through the installation process. You should now be able to run RasterStitch by going to Start > Programs > RasterStitch and clicking on the "Run RasterStitch" icon. Click on Start > Programs > RasterStitch -> Uninstall for delete the program form your PC. 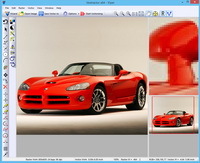 Large size image stitching (especially with 64bit version). Automatic and manual stitching modes. Image stitching with smoothing and blending. 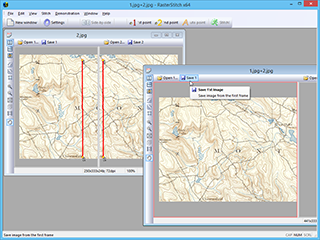 Cropping image by custom rectangle boundaries. Work under XP/2003/Vista/Windows 7/8/8.1 (32 and 64 bits platforms). Arcs and circles recognition algorithm was speeded up. Many algorithms was speeded up.